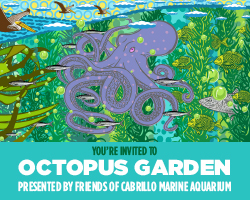 Don’t miss the best beach party in town - the Grand Grunion Gala at Cabrillo Marine Aquarium! Visit the Grand Grunion Gala 2019 website for more details and to purchase tickets. Or please call 310-548-7707 for more information.